I've Listed My House. Now What? 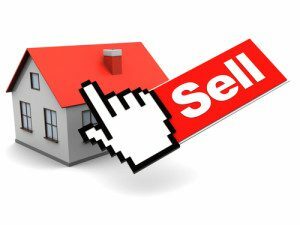 Steps to Selling a House | I’ve Listed My House… Now What? You’ve made the decision to sell your house, and you’ve secured reliable real estate professionals like Lori Ballen Team in Las Vegas, NV to help you sell your home as quickly as possible. The process of selling a home can seem daunting, but we are here to walk with you through it all and make things are easy as possible. Here is a list of things you can expect once you’re house hits the market. The Listing The first step in the process is getting your home seen by as many people as possible. To do this, your real estate agent will add your home to the local Multiple Listing Service (MLS). This service is used by real estate professionals to share information on the properties they have listed for sale. The first thing most people do when they are looking to buy a house is search the internet for listings. Having your house on the MLS increases your reach and the potential for selling your home faster. Instead of a small number of people in your neighborhood seeing that your house is for sale, anyone with internet access has the potential of seeing your house details. Think of the opportunities that opens up for you! A real estate professional has experience with listing homes on the MLS, so it’s a good idea to seek help when it comes to putting your house on the market. You want this done as quickly as possible. Once it’s done, your listing will be on major real estate web sites to be found when someone searches for criteria that meets your house information. The Hardware Your real estate agent will place a sign in your yard to let people know that your home is on the market. This is important because it catches the eye of people who happen to be driving through your neighborhood. It’s not unusual for people to ride through various neighborhoods when they are house hunting. You want to make sure they see that yours is for sale. The sign will have the information they will need to contact your agent to set up an appointment to see the home. If you agree, an agent will place a lockbox outside your door that will aid them in showing your house to potential buyers when you’re not home. This is especially important for people who can’t get away from their jobs easily. The boxes give your agent the freedom to show your home to the most potential buyers without the added step of setting up and appointment with you. The Privacy It may seem daunting to think of having people in your house when you’re not present, but this is an important part of the home selling process. Home buyers are often more comfortable looking at a house without the owner present. It also gives your agent more freedom in setting up showings, which we mentioned with the lockbox. In order to sell your home, people will need to see the inside. This means showings by your agent and open houses. As uncomfortable as you may be with this intrusion into your usually quiet world, it’s crucial in the selling of your house. The Open House There are two kinds of open houses. One open house is only open to other agents in the area. This type of open house is beneficial in getting the word out to other agents who may have buyers that would be interested in your house. These are normally held during the work week when the most agents can attend. The other type of open house is the one for the public. This type of open house is advertised and allows people to walk through your home and see if it fits their needs. The hope is that someone visiting the open house will make an offer, but this doesn’t always happen. The point is to get the word out that your house is ready for a new owner. These open houses are normally held on weekends when people are not working and have more time to visit. It’s recommended that you not be at home for the open house so potential buyers feel more at ease to look around. The Cleaning One of the most important things to expect after your home is listed is the need to keep it clean and in good repair. This means keeping toys off the floor, dishes washed, pet dishes put away, and dirty clothes off the floor. Potential buyers can be turned off by a messy house, and you want to present your house in the best light possible. Thinking of selling your house? Find out in just a few seconds what your home value is estimated at today? When you are ready to connect with a great agent, please call 1-800-805-8354.